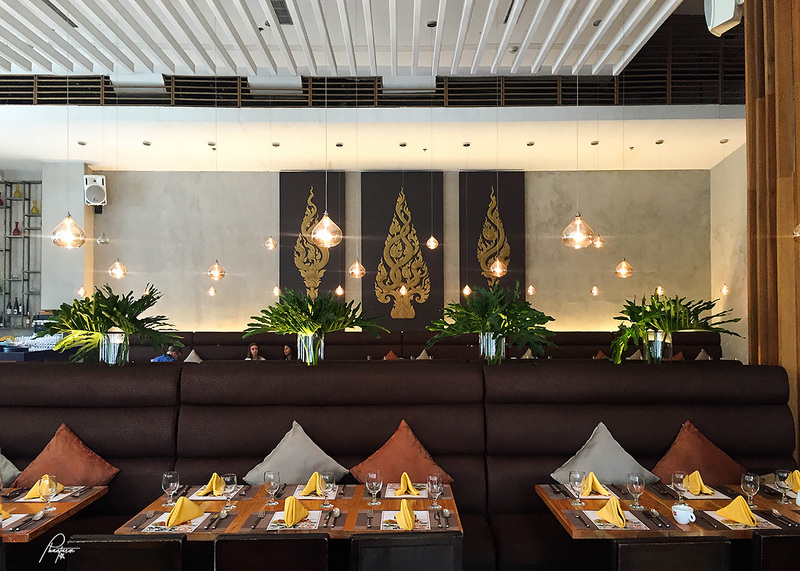 The Kain Tulog Gang (KTG) had our mini-holiday lunch get-together here at Mango Tree Manila. Sharing the dishes that we tried in this blog post. 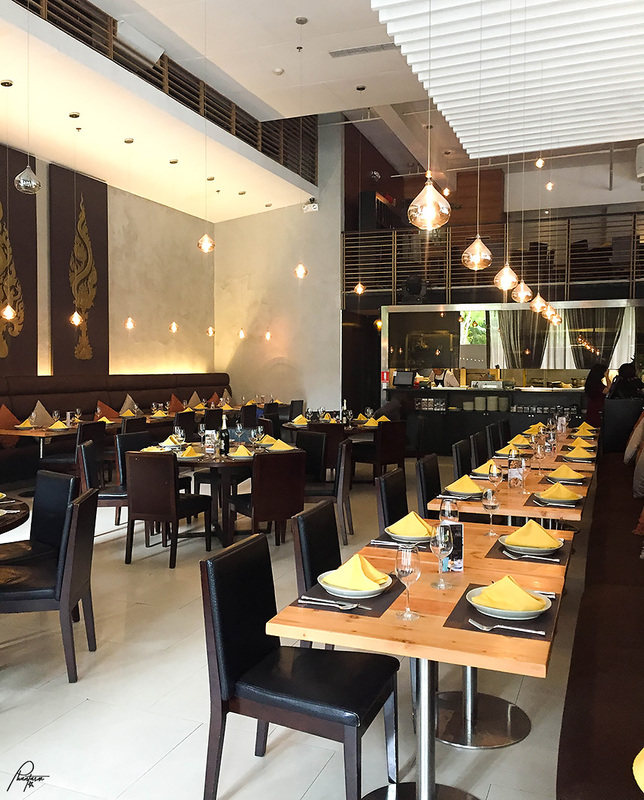 Located on C3, Bonifacio High Street Central, 7th Avenue, Bonifacio Global City, Taguig City, Mango Tree is known for serving authentic Thai dishes since 1989. 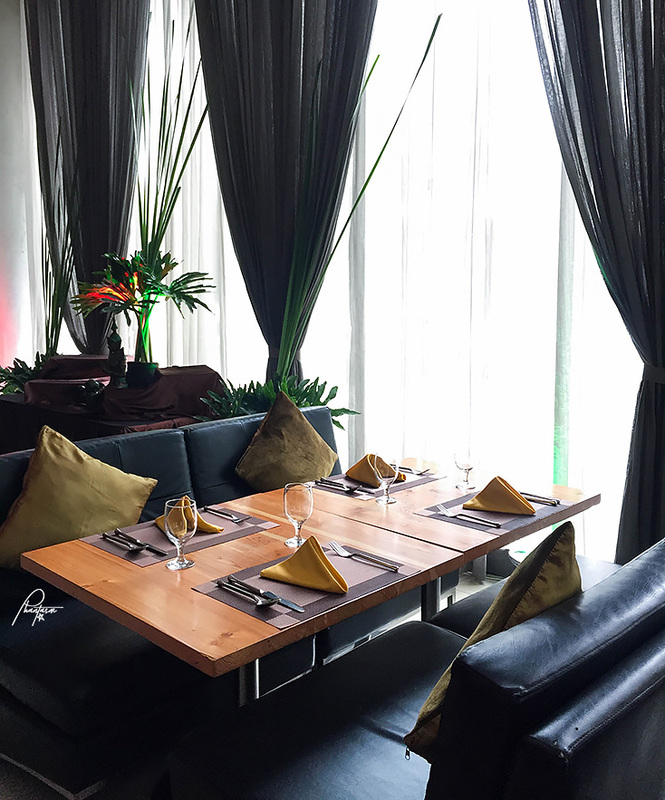 I love the classy ambiance of the place. It's well lit and spacious. Shrimp Cakes. Tod Mun Goong. 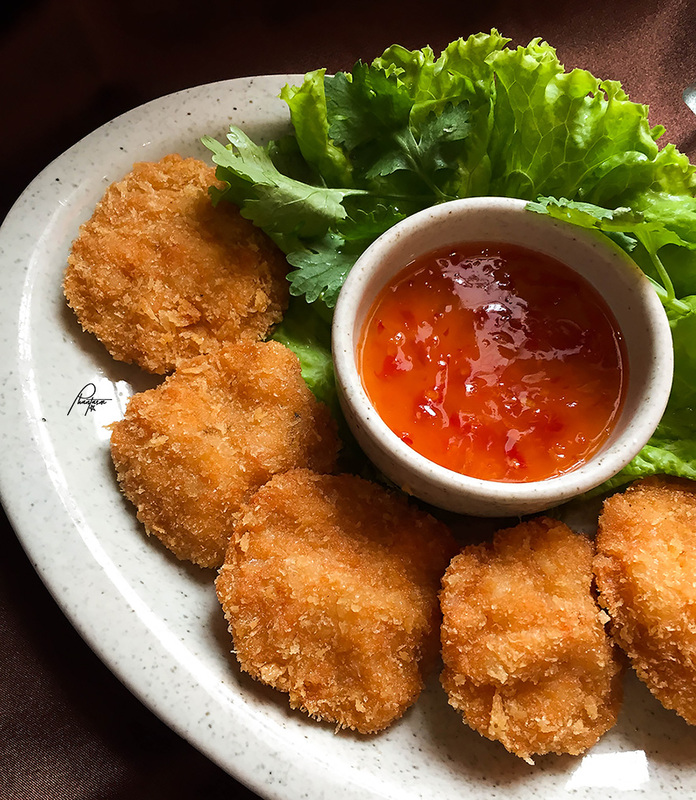 Deep fried shrimp cakes served with sweet chili sauce. Normally, see crab cakes on the menu or fried squid as appetizers. Their shrimp cake is a first to me. It's soft and good. Grilled Honey Spare Ribs. See Krong Moo Yang Nam Phung. Grilled pork spare ribs with honey. 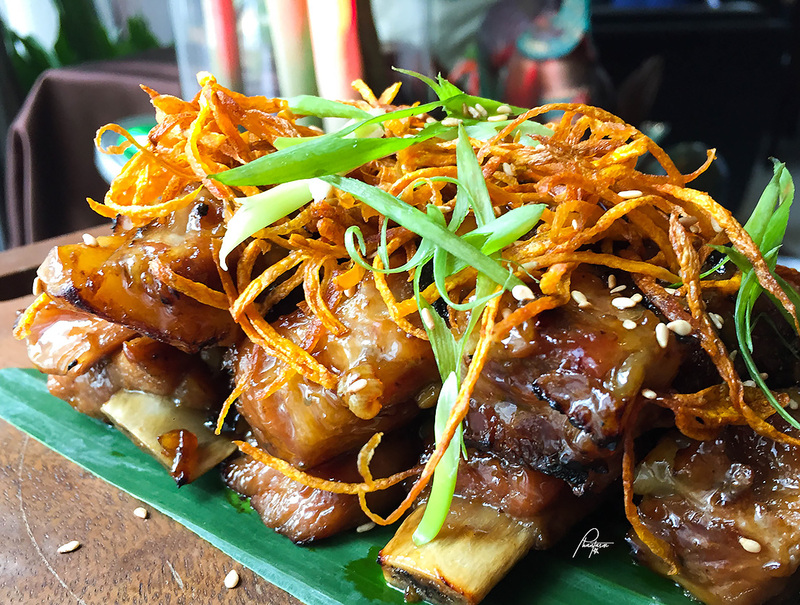 I like the sweetness of the spare ribs, it's also tender. 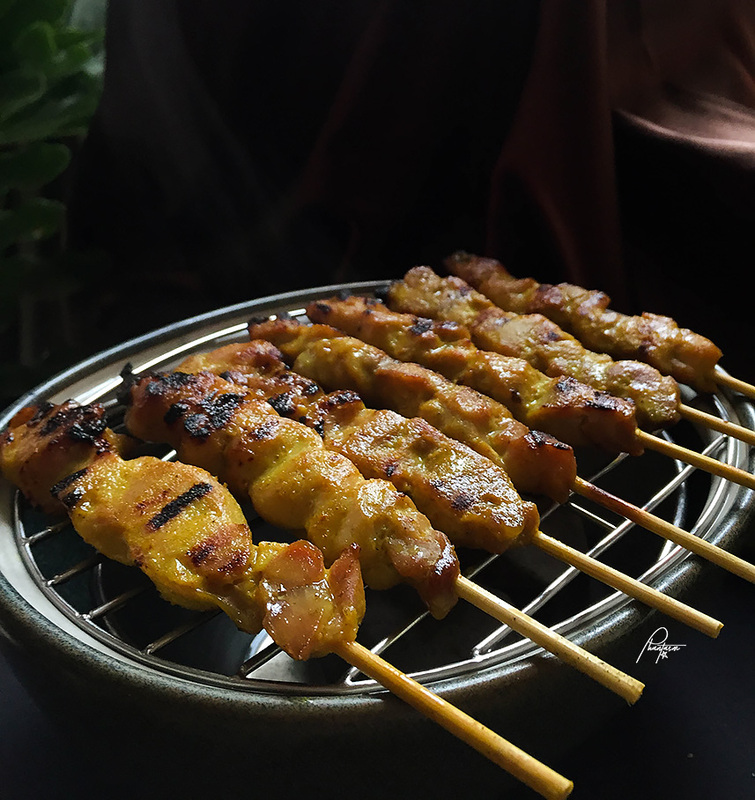 Chicken Satay. Served with sweet vinegar and peanut dripping sauce. This was my favorite pick among all that we had; I lost count on how many sticks I had. 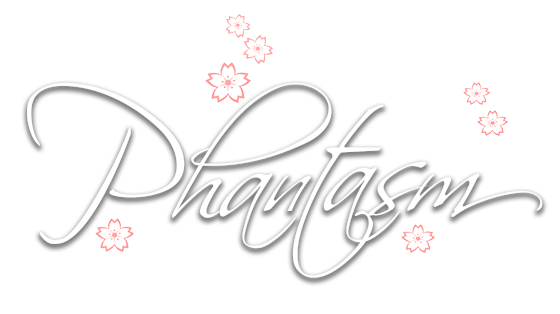 It's really good. I also love the sweet vinegar sauce. Homok Seafood Curry in Coconut. 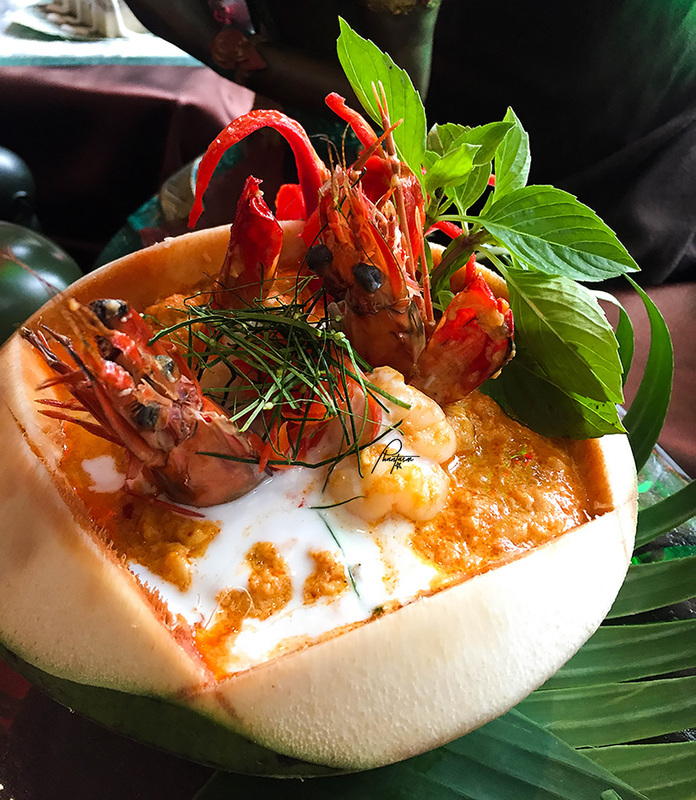 Mixed seafood in creamy red curry sauce searved on a coconut shell. It's rich in flavor. I love this with rice. Fried Seabass with Tamarind Sauce. 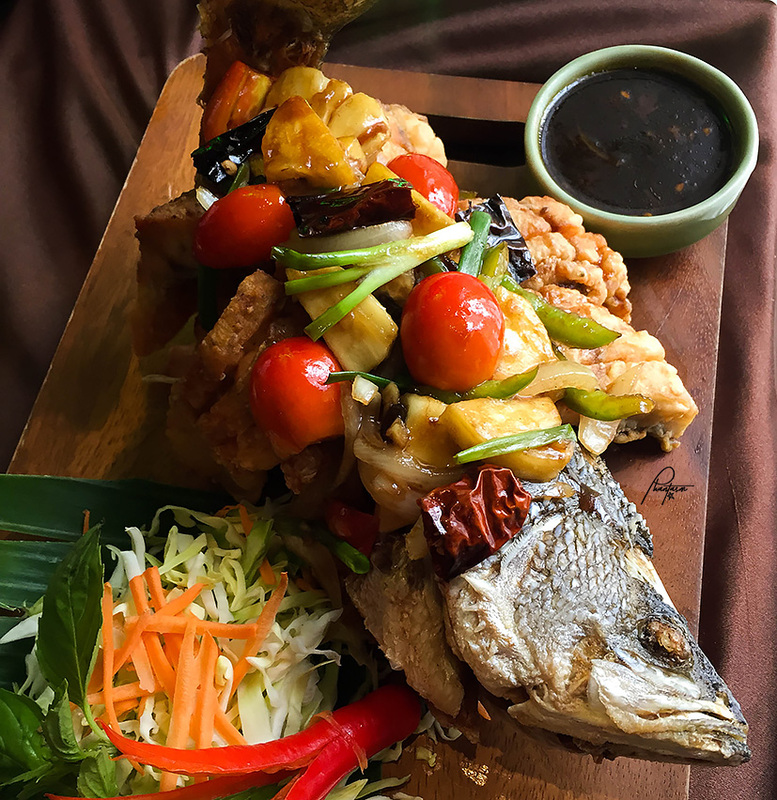 Fried Seabass topped with pineapple and cherry tomatoes mixed with tamarind sauce. The fish is tender good, and this dish has a sweet and sour effect. Garden Salad in Som Tum Sauce with Chicken Wings. 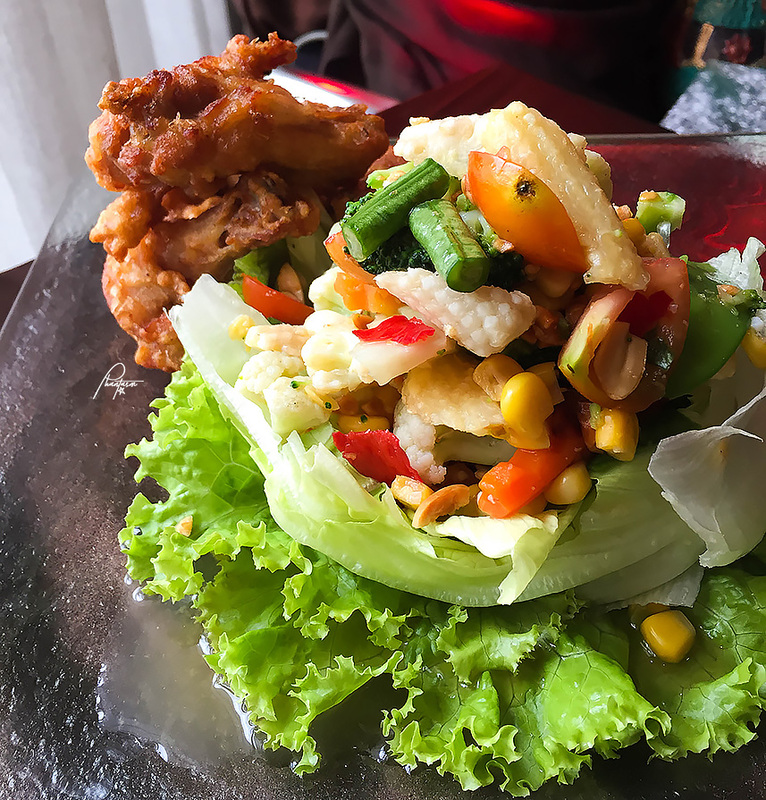 Mixed vegetables drizzled with "som tum" dressing, a blend of dried shrimp paste, fish sauce, lime and palm sugar for a balance of sweet and sour goodness, served with crispy chicken wings on the side for added texture. Wang Bean with Fried Onion. 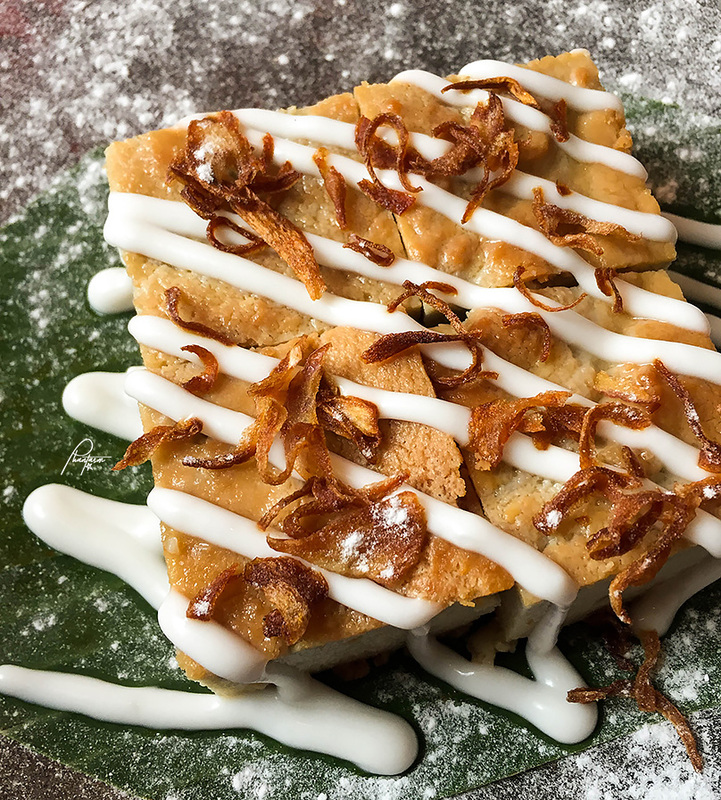 Taro custard with coconut cream topped with fried red onions. 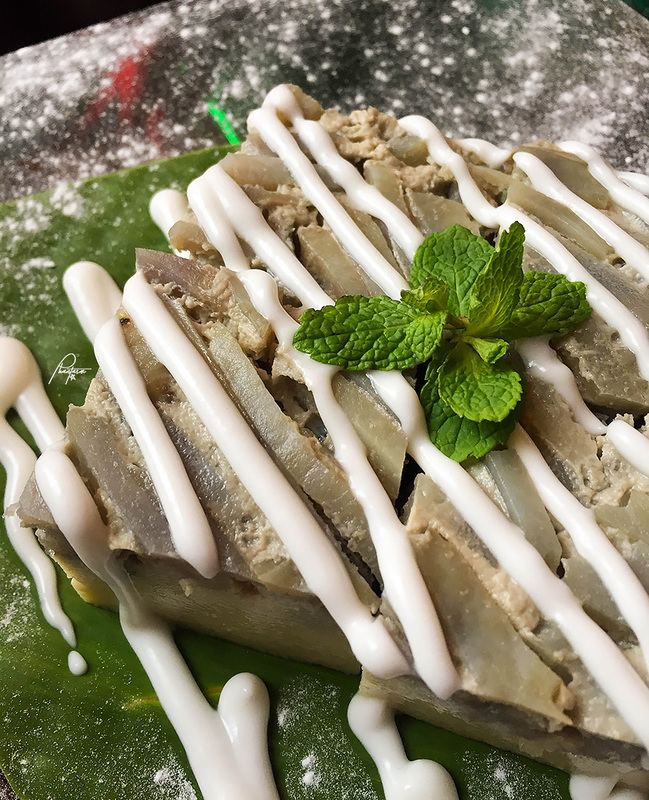 This reminds me of the Filipino "kakanin" desserts that we have. Sweet Potato Custard. Sweet Potato blended with coconut cream for a light sweet flavor and soft texture. It's good and at the same time sating. For a dessert, this could also work well as a stand alone afternoon snack. Mandatory groupie with The Kain Tulog Gang (KTG). Join us in our Facebook group The KTG (Kain Tulog Gang ) for the latest updates.